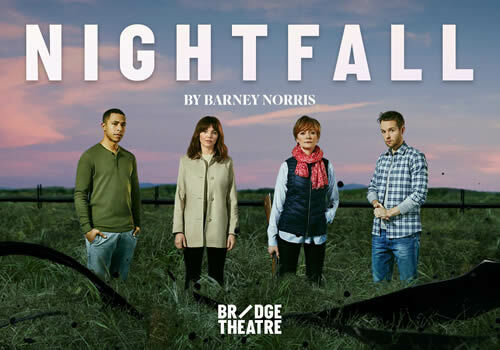 Following productions of Shakespeare’s Julius Caesar and Richard Bean’s new comedy Young Marx, Nicholas Hytner and Nick Starr premiere new play Nightfall by acclaimed newcomer Barney Norris. Receiving praise from Michael Frayn, Norris has been hailed as ‘a new writer in his twenties, but already outstanding’ by The Times. 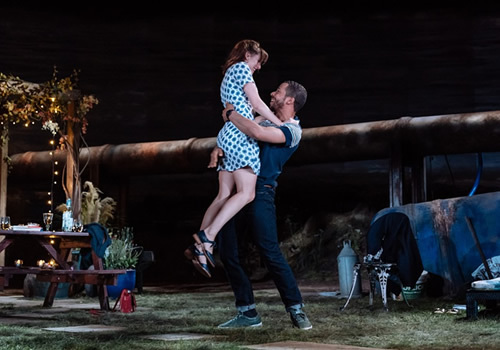 Nightfall is the startling new play about love, loss and grief, following a formidable family who live on a farm outside of Winchester. Whilst Ryan has been struggling to make a living off the land, his sister Lou has returned home to support their mother Jenny after the death of their father. When what you believe in vanishes overnight, how are you supposed to continue? When Lou’s boyfriend Pete reappears, loaded with money from his job at an oil refinery, Jenny is forced to fight to hold on to her children and the life she had planned out for them. 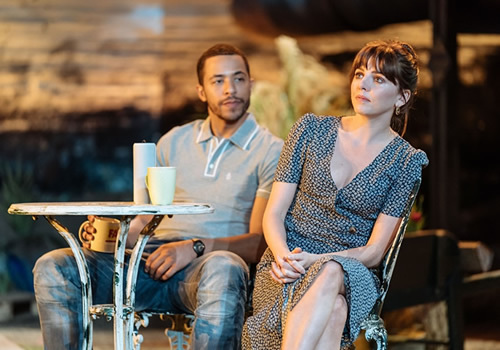 Stellar casting includes Ophelia Lovibond (The Libertine) as Lou, Ukweli Roach (Humans, Grantchester) as Pete, Claire Skinner (Outnumbered) as Jenny and Sion Daniel Young (War Horse, The Curious Incident of the Dog in the Night-Time) as Ryan. 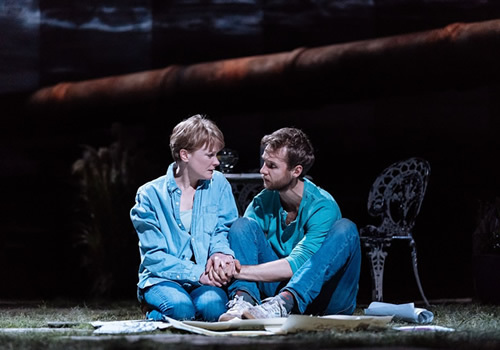 Written by Barney Norris, whose previous plays include Visitors, Nightfall is directed by Laurie Sansom, previous Artistic Director of the National Theatre of Scotland and features design by Rae Smith, lighting design by Chris Davey, sound design by Christopher Shutt and video design by Ian William Galloway, with original compositions by Gareth Williams. 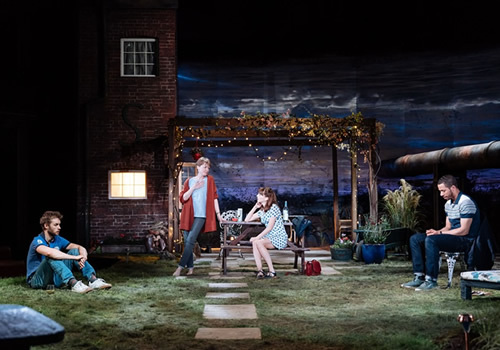 ightfall is the third production to play at the new Bridge Theatre, with performances running from May 1st to May 26th 2018, with an official opening on May 8th 2018. Nightfall may not be suitable for children.